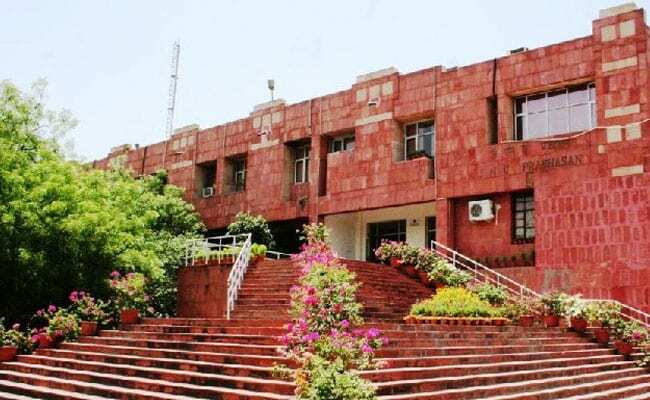 New Delhi: The Delhi High Court has stayed an order passed by its single judge bench which had upheld the Jawaharlal Nehru University's admission policy for MPhil and PhD courses. The admission policy had been brought about by in accordance to the University Grants Commission (UGC) guidelines for admission to research courses. The UGC regulation approved in July 2016 had sought to put a cap on the number of students registered under professors in MPhil and PhD courses in all universities in India. The single judge at Delhi High Court had upheld the University's admission policy on the grounds that the university was bound to follow UGC regulation. The judge had passed the order while hearing a plea filed by JNU students who challenged the university's new admission policy. However, a two judge bench comprising of Acting Chief Justice Gita Mittal and Justice Anu Malhotra have stayed "the effect and operation of the findings on law" of the single judge till April 28 while hearing an appeal filed by the students. According to PTI, the bench passed the interim order and said that the findings of the single judge "would have wide ramifications" and the appellant students had "made out a prima facie case". The bench said that till the next hearing the effects and operation of the finding of the single judge will be stayed. The appellant students had contended that the single judge had incorrectly given complete authority to UGC regulation in the matter of admission at JNU.